The rupee edged higher by five paise to trade at 63.82 against the US dollar on the first trading day of 2018 on the back of increased selling of the American currency by banks and exporters. At the Interbank Foreign Exchange, the rupee was trading higher by 5 paise against the previous close of 63.82. It opened higher by two paise at 63.85 and touched a high of 63.81 in early trade. Dealers said increased selling of the dollar by exporters supported the rupee. The rupee had appreciated 21 paise to end at a fresh four-month high of 63.87 against the greenback on Friday. Meanwhile, stock markets opened flat today with the benchmark BSE Sensex opening marginally higher at 34,059.99.
he rupee edged higher by five paise to trade at 63.82 against the US dollar on the first trading day of 2018 on the back of increased selling of the American currency by banks and exporters. At the Interbank Foreign Exchange, the rupee was trading higher by 5 paise against the previous close of 63.82. It opened higher by two paise at 63.85 and touched a high of 63.81 in early trade. Dealers said increased selling of the dollar by exporters supported the rupee. 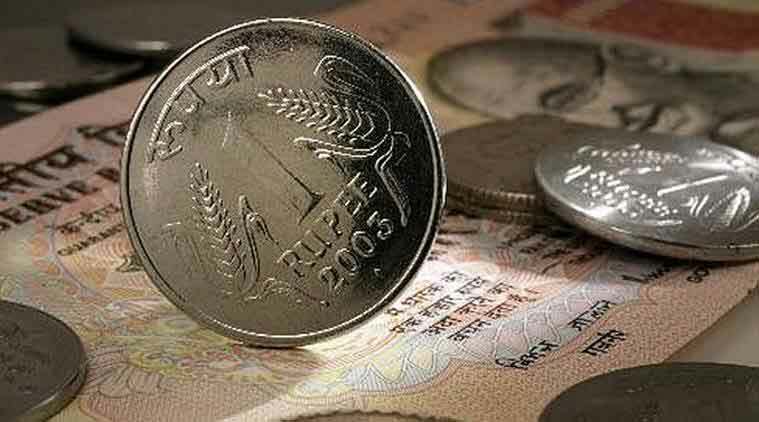 The rupee had appreciated 21 paise to end at a fresh four-month high of 63.87 against the greenback on Friday. Meanwhile, stock markets opened flat today with the benchmark BSE Sensex opening marginally higher at 34,059.99.